2) Showing thru #1 ,that even though Residents keep hearing that Troponin-I levels are not affected by Kidney disease, this is a controversial subject, and from a Cardiology perspective, we see in the majority of cases a slight increase of Troponin levels with normal CK and CKMB levels in the setting of impaired kidney function. Being in the Cardiology Consult service we usually get called to evaluate elevation of Troponins in patients with kidney disease with; Negative EKG changes, Negative cardiac symptoms etc. The residents in the hospital have heard several times in conferences given by another department that “Troponin I is not affected by kidney function”. Not a single Cardiologist I have spoken to agrees with this comment. Even though I tell them this, they always shoot back the argument “We had a conference where …”. So being new to twitter, I decided to give it a try. I would try to contact a World-Renown expert to give me his opinion on this. So I decided to contact Eric Topol. You did WHAT?! Yes, I know it is overkill, but I just wanted to prove two points. I could contact Eric Topol quickly thru Twitter and get an answer to my question. I am sure Dr. Topol might have thought this was an absurd question but he humbly answered promptly, proving 2 points. 1) Twitter can be a AMAZING tool if you learn to use it correctly. If Dr. Topol took time to answer this simple and “absurd” question it is very likely that he would be more thrilled to share his knowledge with a more difficult and challenging one. 2) Troponin-I elevation in kidney disease is a controversial subject, so please, when you consult cardiology do not tell them that Kidney function does not affect it. Please fell free to add any comments in the section below. Thanks! Dr. Topol’s first comment is that this is a controversial situation so basically there is no definite answer. From the cardiology standpoint, I have not yet encountered one Cardiologist that will agree with the concept that Kidney disease does not affecting troponin levels. Due to this recurring situation I contacted Dr. Topol in order to get an outside opinion from someone so renown as him, and show my residents that other cardiologists shared this thought. Once again it is not a clear but my take away is that residents should not be running around with the concept that Kidney Disease does not affect creatinine levels. Thank you. What strikes me is that he had 140 characters at his disposal and he chose to use only 4. It’s very ambiguous. I wish we could get further clarification. Have you sent him this blog post? Maybe he could write a comment. 😉 Well there is a saying. “If you can not understand my silence you will not understand my words” I kind of think it applies here also. I am confident what he meant with such a short answer was. “What do you want me to tell you, there is no right answer” Being a controversial subject there is no wrong and right. That is why I did not bother him anymore. Hope this makes sense to you. http://eurjhf.oxfordjournals.org/content/11/7/653.short So does this mean that NSTEMI could be diagnosed incorrectly? Very interesting! If you find out more, let me know. In order to diagnose someone with an NSTEMI multiple factors need to be taken into account. 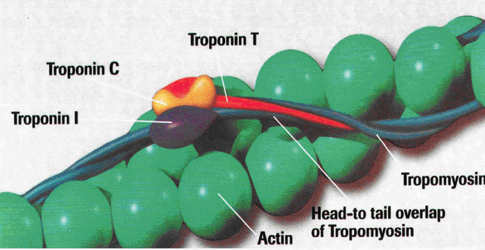 An elevation of troponin by itself is not enough to lable someone as having an NSTEMI. As you know you need to have ekg changes, symptoms, maybe echo. Its is when we group this variables together that we can call is an NSTEMI. Problem is that the literature has shown that for those having a true Coronary event, elevation of troponing above .05 (depending on the assasy) correlate with worsening outcomes. The problem with this is that If I do significant exercise and get my troponin checked I can probably have it falsely elevated (I have seen these before with people running marathons). Multiple things cause elevated troponins (tropnin leak) without having a true coronary event. For example Atrial Fibrillation, Tachycardia, Bradycardia, Sepsis, Pulmonary hypertension, Pulmonary edema, Pneumonia, Pulmonary stenosis, Hypertension. You name it. So if you add this, plus age with decreased kidney function yes you can have little old ladies being diagnosed with NSTEMI when they actually never had one. For this reason if you suspect a trop being falsely elevated CKMB and CK are helpful. In hospitals this becomes a huge issue since the ER physicians will not discharge someone with an elevated troponin because a liability issues. Thanks again. I guess if I have doubt anytime in the future I will try and ask some more questions. Sometimes we don’t just as much information at the time the patient is discharged back to the community as we would like. No matter what this shows about the benefits of twitter, you have definitely showed the potential of blogging here! Indeed social media is very valuable in starting conversations. But in such circumstances it’s best to provide a link to a study or a blog post so that a complex conversation like that can gain more clarity. In 140 characters, it’s very easy to get misunderstood, or in patients’ case (who do read our tweets) … get misinformed. As someone who just started using twitter and Serendipitously blogging I am getting more comfortable and familiar with the utilities that social media have on Medicine. To be honest I did not expect people to log in to this post. I thought that it was less interesting than the other three and I did it mostly to show my med students, residents and faculty that I am not wrong. That if they do not adopt technology and social media, if they do not start interacting more with others be it patients or professionals in healthcare they are going to be left behind. Residents were dubious with information that had be told to them. Cardiology did not agree with what they say and kept placing consults. This has been going on for 2 yrs now. I had thrown the towel, I was not wasting any more energy trying to explain. So now that I started using Social Media and with a response I got, couple of residents have started to question their way of thinking. I understand your concept completely of adding other blogs, and other papers, but I just felt that it was going to distract people. 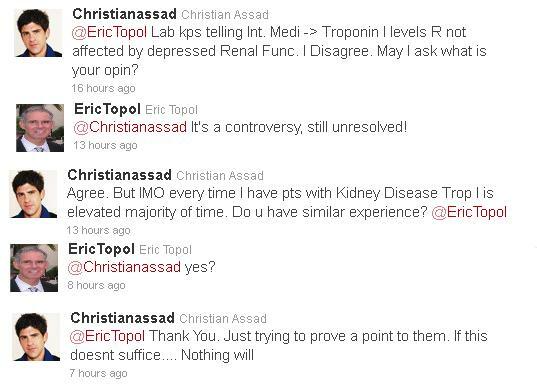 If it is a controversy, and someone like Eric Topol can not give me a straight answer, arguments will start but a valid conclusion will not be reached. If this blog was directed to my patients, which I plan to do once I get better at this, You are 100% right, more information will be needed. I will post papers, blogs, and proabably videos of me explaining. I don’t think that Christian has said anything here that might misinform a patient. There is uncertainty and surely we should be open about clinical uncertainty rather than just talking about it in private meetings. It is strange but true that the exact Cause of Primary Pulmonary Hypertension is yet to be ascertained. However, researchers in this regard suggest that certain diet drugs (appetite suppressants) can make a person more prone to developing this fatal condition.Primary Pulmonary Hypertension is basically a disorder of the blood vessels wherein the pressure in the pulmonary artery rises above normal levels, thereby posing a life-threatening risk. Several diseases or causative factors, largely unknown, may lead to the malfunctioning denoted by the term Primary Pulmonary Hypertension..